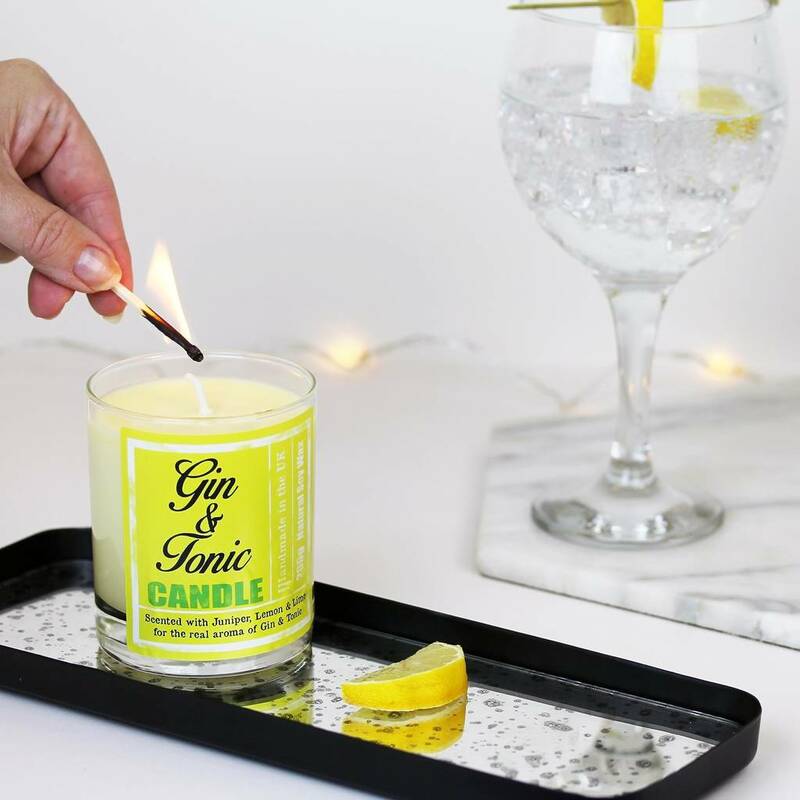 A Gin & Tonic luxury hand poured scented candle made with high quality essential oil and eco soy wax. When life hands you lemons, reach for a Gin & Tonic! 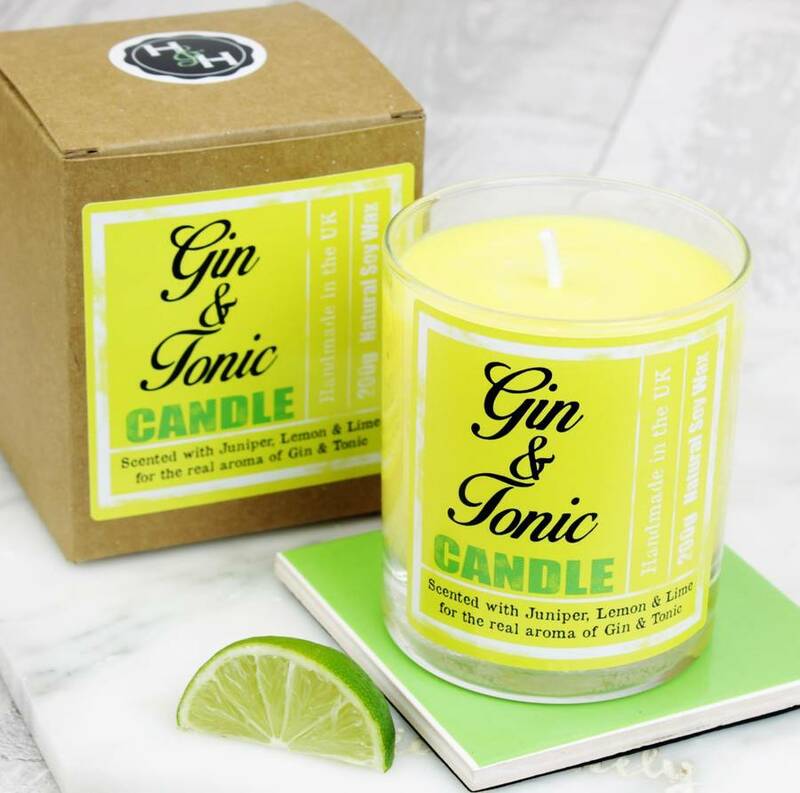 This gorgeous candle smells just like a freshly poured G&T with lemon and lime, Juniper berry is added to the scent to give that authentic Gin smell. This candle is perfect for kitchens and conservatories, its light and fresh and the yellow coloured wax and packaging look fresh and bright. The candle comes in a heavy glass container, wrapped in tissue and packaged in our lovely recycled box with sealed wrapping to hold the scent. See our other Gin & Tonic themed products in our store such as Teatowels, soaps, lipbalms and small candles. EcoSoy Wax, essential oil perfume, pure cotton wick. No Petroleum or animal products are used.